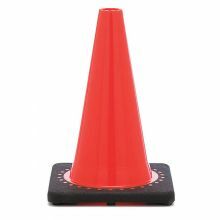 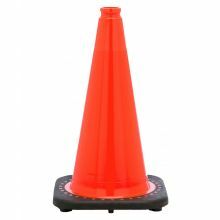 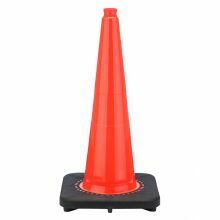 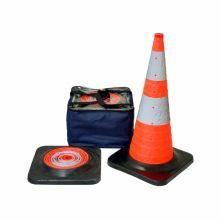 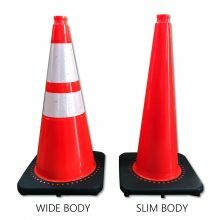 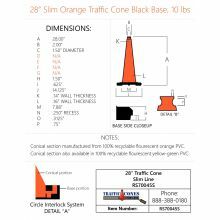 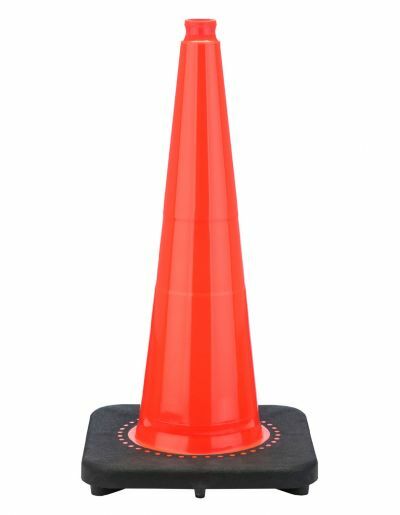 This 28" Slim Line 10 lbs cone is strong and flexible in heat or cold, resulting in a more durable cone that will stand up to the challenges of adverse weather or road conditions. 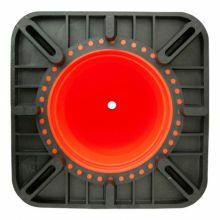 The brilliant fluorescent red orange color throughout is visible from any angle, day or night. Specially designed cleated base allows ease of stacking. 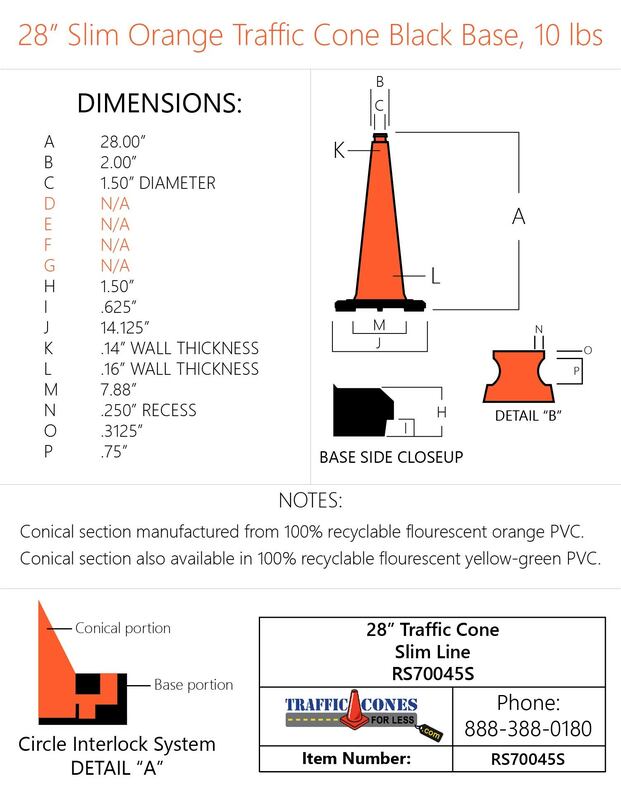 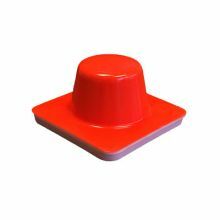 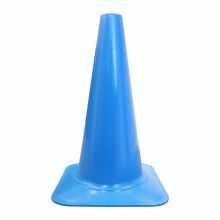 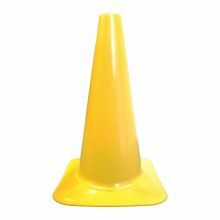 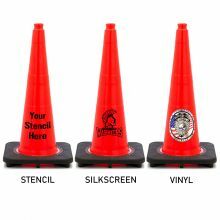 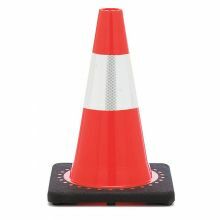 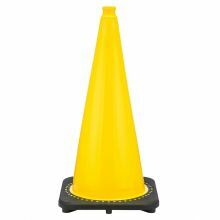 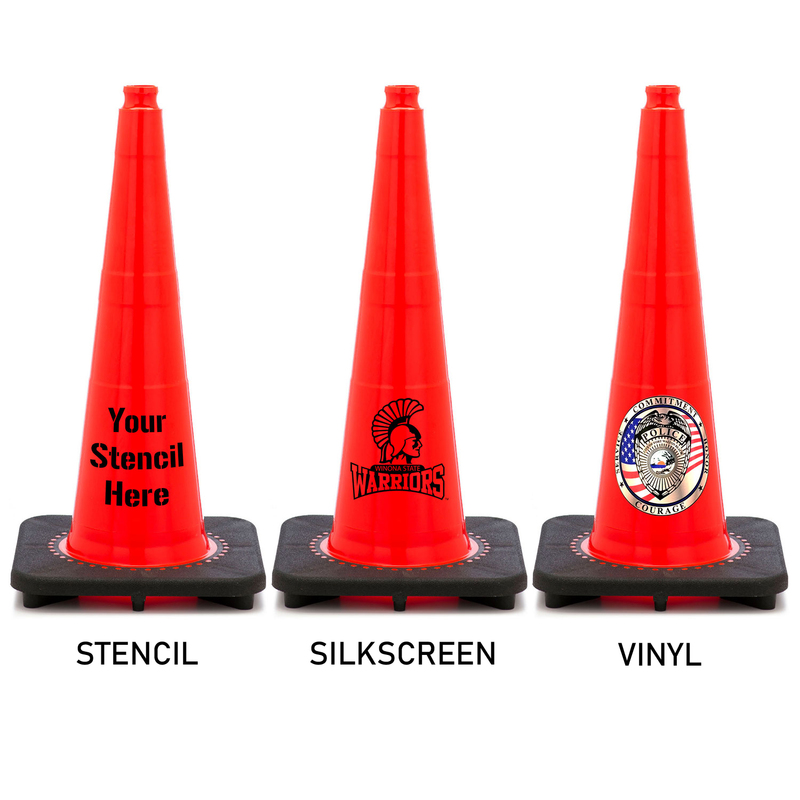 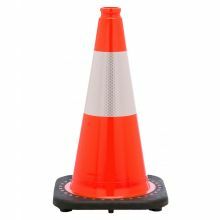 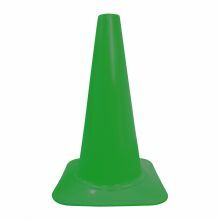 The cones will not stick together; they'll firmly grip the road and won't easily be blown over.